Our coffered ceiling system is designed to provide the classic look of a traditional coffered wood ceiling with the simplicity of a standard drop ceiling. Easy installation and low labor cost makes our "SUSPENDED" wood ceiling among the most economical on the market. Classic Coffers is an affordable way to add elegance to any room. 70% SAVINGS on cost of custom millwork. ADAPTABILITY to any size or shape room. FAST and EASY installation, with NO special tools. NO jobsite MESS or HAZARDS because COMPONENTS ARE CUT TO SIZE AND PRE FINISHED. 90% Reduction in downtime with our quick installation design. 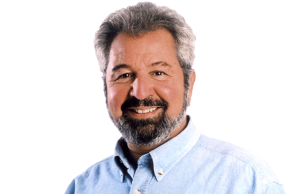 Learn more about our Innovative Suspended Wood Ceiling Systems, as featured on "The Bob Vila Show" by watching the video to the right.